Every survival kit or bug out bag should have a fire starter. When you have a fire, you have warmth and a means to cook food and security. Nonetheless, it is also essential to have a survival blanket or two when you are out in the wilderness. Yes, they do take up a little space, but most survival blankets you find on the market these days can be folded up into a compact size to fit any backpack or kit. Just remember to take good care of it when you use it. Each has its own features to suit different needs, so finding the best survival blanket for you will not be a difficult task. Click on one of the links to go directly to our overview, opinion, and features of each blanket. Wear Warm Clothing: When you are in camp, make sure that you wear your warmest clothing. Also, keep in mind that your rain gear can be used as a vapor barrier. Keep Yourself Warm: You should not allow yourself to even begin to get cold. Shivering is a sign that your body is starting to cool down. If you start to shiver, put on more clothes and move around. If this does not get you warm, slip into your sleeping bag until your body starts to feel warm again and then return to camp life. Eat Warm Foods: Make sure that your dinner has foods with plenty of fats and carbohydrates to keep your body warm. For after-dinner snacks, pick fatty foods like peanuts. Remember that your body heat increases during the process of digesting fatty foods. 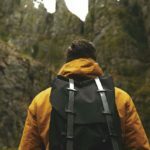 Also known as Mylar blankets, space blankets and camping blankets, survival blankets are an important part of the gear you carry, whether you are off camping, hiking or in a survival situation. You will find a wide range of these blankets on the market with different features and benefits. No matter what type of situation you are in, you should carry a good-quality survival blanket with you. Survival blankets have the ability to retain heat, which is one of their most critical features. Whether you need to warm your body or need a blanket to cover walls, survival blankets are the best. Although they do not have the ability to produce heat, they are able to retain up to 90% of the heat that reaches them. They are designed to keep your body temperature stable in extreme conditions. 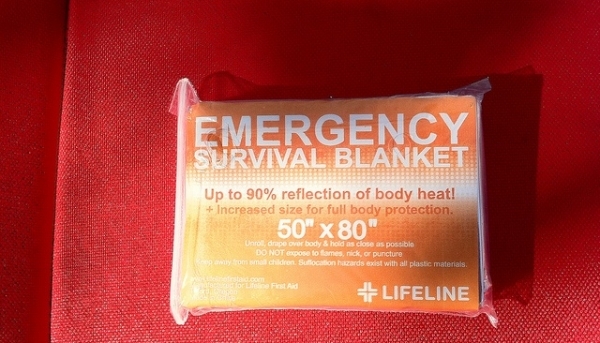 Therefore, having a survival blanket will prevent you from suffering from hypothermia. Survival blankets are also waterproof and wind-resistant. Carrying a decent one can be extremely helpful if you are caught in the rain or a storm. You can use them to make a shelter so you get excellent protection from the wind and rain. Although they are thin, survival blankets are highly durable, making them poignant for building tents in emergency or survival situations. The Jungle Blanket is a soft, lightweight, and warm blanket that is ideal for carrying to all types of outdoor adventures. It features travel soft insulation that is designed to give you exceptional performance in the outdoors. Apart from being water-resistant and windproof, the Jungle Blanket is antimicrobial and antibacterial. You can compress the blanket down to 6”x6” for light and compact traveling. While you may find other products that are just as stellar on the market, the Snugpak Jungle Blanket is a judicious choice if you need a light and warm blanket to carry on your adventures. Although it is a little thinner than you may have expected, the Snugpak Jungle Blanket is a warm blanket that is ideal for the outdoors. It is also very light, making it fantastic for carrying in your backpack, survival kit, etc. The windproof and water-resistant features are nice touches – it actually works very well in blocking gusts of wind when compared to a typical poncho liner. The blanket is a little tough to get back into its pouch when you take it out, but it is not a major issue. While it may not be better than similar products that are out there, the Snugpak Jungle Blanket is definitely an excellent choice if you are looking for a lightweight, compact, and very warm blanket to carry into the wilderness. All in all, a great blanket to consider and one that is durable and easy to carry with you when you want to explore the great outdoors. This emergency blanket is made from vacuum-metalized polyethylene heat sheets and works incredibly well in rain, snow, and storms. The Survive Outdoors Longer Emergency Blanket is designed to retain up to 90% of your body heat, ensuring that you stay warm even in the coldest conditions. This blanket is tear-resistant and does not tear or shred when punctured or nicked, the way Mylar blankets do. This is a versatile emergency blanket that can also be used as a first-aid blanket, gear cover, ground cloth, etc. Compact and lightweight, it is easy to carry and offers supreme quality. Although it is a little more expensive than other survival blankets on the market, the Sol – Survive Outdoors Longer Emergency Blanket is great value for your money. It works extremely well in extreme conditions. It is a much better alternative to the thin and flimsy blankets out there. The Survive Outdoors Longer Emergency Blanket does not tear easily and is easy to carry as it is light and compact. The Survive Outdoors Longer Emergency Blanket might be a little thicker than you expected, but this is not a major problem given its compact size and light weight. While it is not indestructible (it is not Rambo), this blanket is tougher and will last longer than most emergency blankets out there. The Woobie or poncho liner is probably one of the best-known emergency blankets around. It is standard issue in the US Army as well as Marine Corps. Made of 100% rip-stop nylon, this is a high quality, durable blanket that is a must-have for every outdoor enthusiast. Compact and lightweight, the Woobie blanket has a magnificent waterproof lining that makes it useful even in rainy weather. The blanket is stain resistant as well, which makes it more durable than other options in the market. It is a little thinner than you might expect, but the Woobie will keep you warm on your adventures. When it comes to warmth in the wilderness, the Poncho Liner Woobie Blanket is one of the first things that come to mind. This is a high-quality survival blanket that is made to be tough enough to withstand the harshest conditions. Its size and weight are perfect for carrying on all your outdoor adventures. It is also stain resistant too. While some people have said it is a little too thin, the Woobie still keeps you extremely warm. It is soft and light which is what you need when you are camping, hunting or in a survival situation. Originally designed for NASA, the TITAN Two-Sided Emergency Mylar Survival Blankets are a popular choice among survivalists and outdoor enthusiasts. These advanced aluminized Mylar blankets are high quality and durable, not to mention waterproof and windproof. They retain up to 90% of your body heat, helping to prevent hypothermia and shock. Mylar blankets can also be used for ground cover, tarps, distress or rescue beacons or ponchos. Compact and lightweight, these blankets are excellent for carrying on your outdoor trips and make a superb addition to any survival kit or bug out bag. When it comes to survival blankets, the TITAN Two-Sided Emergency Mylar Survival Blankets are probably one of the well-known names. These high-quality emergency blankets are fantastic to add to any survival kit, bug out bag, etc. and are also ideal for carrying on camping and other outdoor trips. They are compact and light and keep you incredibly warm in even the coldest conditions. A small problem is that Mylar blankets are quite delicate – they can tear off quite easily if you put some pressure on them. Also, they are slightly smaller for some users. But all in all, this is a superb survival blanket that does its job of keeping you warm and safe in the wilderness incredibly well. (+) Can be used as ground cover, tarp, etc. The Grabber All Weather Blanket is a quality survival blanket that comes with a few nice features that makes it a marvelous choice for outdoor trips. It is made with aluminized plastic with a strong laminate of fiber scrim. Definitely warmer than wool, it helps in preventing hypothermia by retaining up to 80% of your body heat. You can also use it for ground cover, shelter and much more. Although it may be a little heavier than you expect, this blanket works well no matter where you are. If you are looking for a nifty gift for campers and outdoor enthusiasts, the Grabber All Weather Blanket is a superlative choice. The Grabber All Weather Blanket is not perfect, but it a great option to consider. It works well under any condition and keeps you warm by retaining your body heat and prevents hypothermia. Another positive aspect about this blanket is that you can use it for other things too, like as a tarp, for ground cover, or a makeshift shelter. Although it is a little heavy and also a little small for some people, the Grabber All Weather Blanket is a marvelous addition to your camping gear. It is also handy for survival kits and bug out bags. If you have outdoor enthusiasts at home, this is the right blanket for them. The Mambe Extreme Weather Blanket is made of 100% genuine Polartec Classic 300 fleece, making it soft, thick, and warm. It comes with radiant heat retaining lining that helps retain body heat, helping you stay warm even in the coldest conditions. It is waterproof and windproof, making it an excellent blanket to have in extreme conditions. 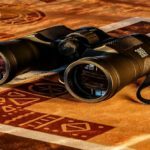 The Mambe Extreme Weather Blanket comes in two sizes – large and small, so you can pick the one that suits your needs. It also comes with a premium stuff sack that allows you to conveniently store and carry the blanket. The Mambe Extreme Weather Blanket is a well-made outdoor blanket that comes in two sizes. However, the downside is that the large size is not big enough for two people as the makers claim it is. Made of fine quality fleece, it is a warm blanket and is soft and thick, making it amazing for extreme weather conditions. It is also 100% waterproof and windproof. Another flaw that this survival blanket has is on the black or shiny side – it is cold. To keep you warm, make sure you use the other side. However, all in all, the Mambe Extreme Weather Blanket is a salient product. If you do not mind spending a little more than you would on another survival blanket, this is an ideal choice. The Swiss Safe Emergency Mylar Blankets are advanced aluminized dual-sided Mylar blankets that are ideal for all types of survival situations. They help keep you warm by conserving your body heat. These blankets are moisture-proof, waterproof, and windproof and reusable as well, making them fantastic for all weather conditions. You can also use them to prevent sweat chills after running a marathon. Lightweight, compact, and durable, Swiss Safe Mylar blankets are designed to retain up to 90% of your body heat, helping to prevent hypothermia and shock in extreme weather conditions. They include a bonus gold space blanket that can be conveniently folded in half to fit your pocket. These blankets are excellent for your backpack, survival kit or bug out bag. There is no doubt that the Swiss Safe Emergency Mylar Thermal Blankets are a great option to keep in mind. They are a sterling addition to any survival kit, bug out bag, or camping/hiking gear. They work well in extreme weather conditions and can prevent hypothermia and shock. They are light and easy to pack and more importantly, doing a terrific job of keeping you warm. Like other Mylar blankets, the Swiss Safe thermal blankets can tear easily if you put a little pressure on them so you have to be quite careful. However, these blankets are definitely a fantastic buy, especially if you are often out on a wilderness trip and love exploring the wild. If you are looking for Mylar blankets to add to your survival kit, camping gear, etc. the PrimaCare Medical Emergency Mylar Blanket is a sagacious choice. Compact and lightweight, they offer excellent protection in emergency situations. They are made of high quality, durable Mylar insulation material that retains body heat to keep you warm even in the harshest conditions. Waterproof and weatherproof, the PrimaCare Mylar blankets are also excellent for using as ground cover, tarp, sunshade, etc. Although they are a little thick and tear easily, these blankets are excellent for survival situations – you should definitely have a few in your home, car, first aid kit, and survival kit. The PrimaCare Medical Emergency Mylar Blanket is a great buy if you are looking for Mylar survival blankets to add to your emergency or survival kit, bug out bag, first aid box and car. They work well to keep your body warm in harsh conditions. They are also excellent for preventing shock in accidents as they retain body heat. The PrimaCare Medical Emergency Mylar Blankets are affordable. However, you should keep in mind that they do tear quite easily. They may also be a little thicker than you expected. But all in all, these are some really good mylar survival blankets and give you great value for money. (+) Perfect size for any backpack, survival kit, etc. Whether you like to be prepared for any emergency situation or are a regular outdoorsman, the STOÏK’D Emergency Mylar Space Blanket is a superb survival blanket to have. These are high-quality Mylar emergency blankets that are the perfect size for your camping gear bag, survival kit, marathon equipment, first-aid box, and family travel kit. Although they are compact and light, STOÏK’D Emergency Mylar blankets are designed for heavy duty use and work extremely well to keep you warm even in the harshest conditions. Waterproof and windproof, they can also be used as a ground cover tarp, sun shade, emergency shelter, etc. When it comes to survival blankets, the STOÏK’D Emergency Mylar Space Blanket is a great choice to keep in mind. They work extremely well in all types of situations and are well made and durable. If you are looking for a Mylar blanket to keep you warm in frigid conditions, this is a wonderful option. They retain an enormous amount of heat, ensuring that your body is kept warm. Like most Mylar blankets, the STOÏK’D Emergency Mylar Space Blanket needs to be handled with care as it can tear rather easily when pressure is applied. Also, it may be a little small for some users. However, all in all, the STOÏK’D Emergency Mylar Space Blanket is a superb product for outdoor enthusiasts and those who want to make sure that they are prepared for any emergency situation. The Dukal Heat Reflective Emergency Blanket is a single-wrapped survival blanket/wrap that is made of high-quality material. It retains up to 90% of your body heat, making sure that you are warm even in the most extreme conditions and prevent hypothermic reaction in sub-freezing temperatures. Compact and lightweight, this blanket is also reusable. You can use the shiny side as a mirror to signal for rescue if the need arises. This is a must-have for any outdoor trip or survival kit, first aid box, etc. If you are a regular camper or hiker or simply like to be prepared for emergencies, the Dukal Heat Reflective Emergency Blanket is an appropriate product to add to your backpack or survival kit. It can prevent hypothermia even in sub-freezing temps. You can be sure that you will always stay warm with this blanket around. However, there are a few other Mylar blankets that work just as well but are available at a more affordable price. If you want a survival blanket for every family member’s car, your survival kit or bug out bag, first aid box, etc. you may want to consider buying a more affordable one. It is also slightly thinner than some of the Mylar blankets out there. But overall, the Dukal Heat Reflective Emergency Blanket is a stellar product and does work well. As you can see, there are a number of excellent survival blankets on the market. While they are astounding, they are not perfect – each one comes with its own pros and cons. You should consider these carefully before making a decision and buying a survival blanket. The blanket you pick should meet your needs when you are in the wilderness. The survival blankets mentioned above are some really good ones out there today and will definitely come in handy if you are in an emergency situation, in or out of the wild. Get one of these blankets before heading out on your adventure and rest assured knowing that you have a blanket that will keep you warm and protect you from the elements.